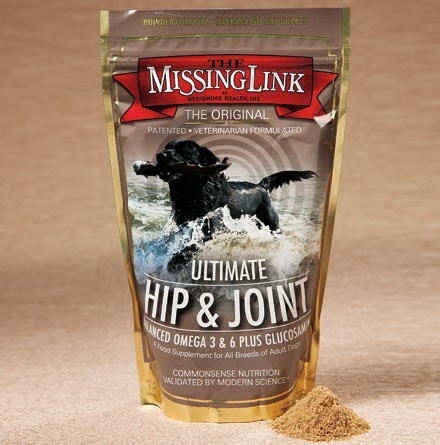 Ultimate Hip & Joint formula offers what you love best about Missing Link, but adds glucosamine to help support healthy joints in your adult dog's active years. Includes 400 mg glucosamine per tablespoon. 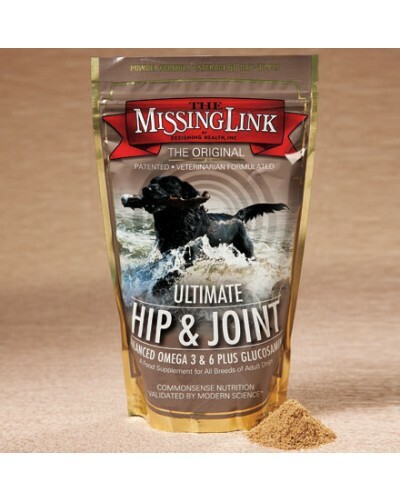 Missing Link also supports your dog's healthy skin and coat, digestion, and balanced energy levels, for overall good health. 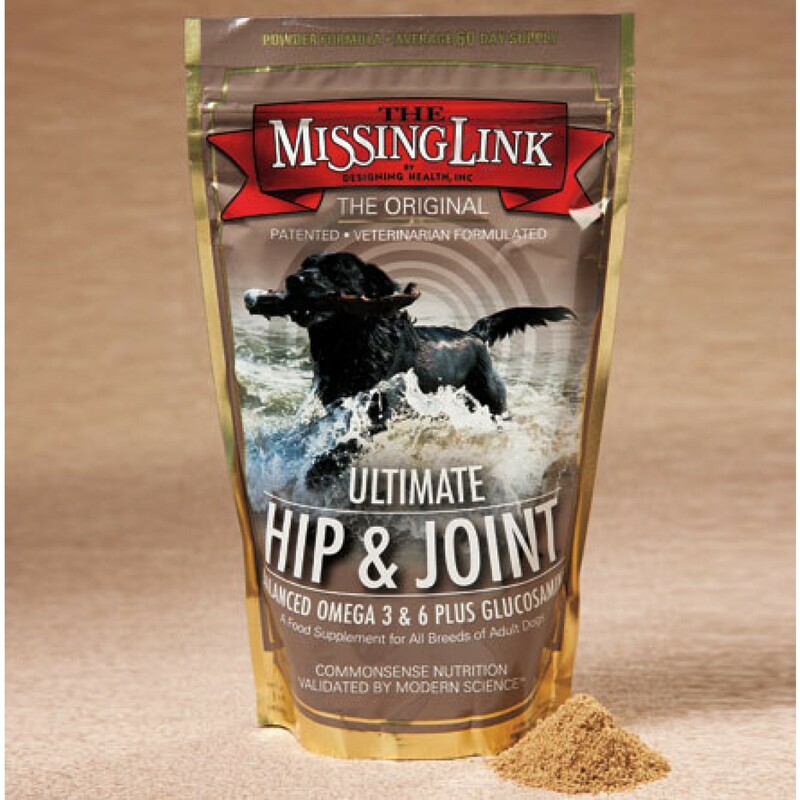 The Missing Link is a super food concentrate made with the highest-quality whole foods and food concentrates. Delivers nutrients that are bioactive, the way Mother Nature intended them. These unique blends combine balanced levels of naturally-occurring Omega-3 and Omega-6 fatty acids for healthy skin and balanced energy levels. The Missing Link also delivers fiber for healthy bowel support, and naturally-occurring phyto (plant) nutrients important for maintaining normal digestion and overall health. For dogs.